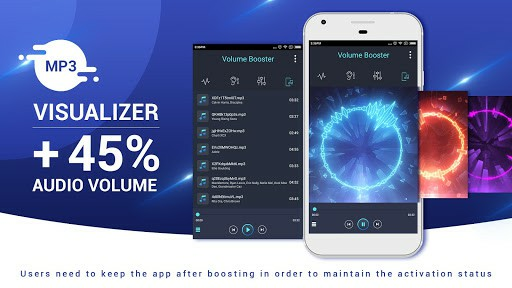 Welcome to Best Volume Booster and Audio EqualizerVolume Booster 2017 with the friendly interface, ultra-small capacity and shortcut on screen will help you to increase the audio volume of your mobile phone with just only 1-touch. Your phone is not only amplified audio and volume louder but also the quality of sound is better than the original. 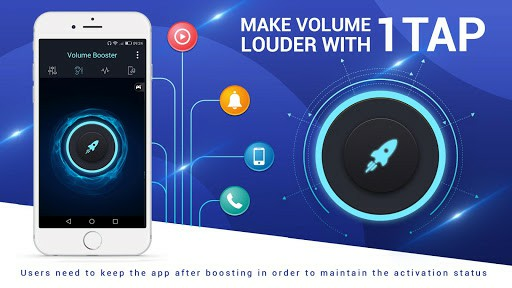 The app to make volume louder is suitable when you make video calls in social networking applications. You can freely customize the volume to fit your requirements, use the pop-up slider in best equalizer sound booster. The sound booster does not distort when the amplifying sound to its highest level by effective monitoring functions. 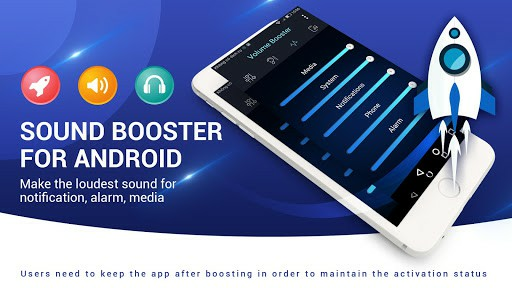 Volume Booster will increase volume when I want to make the speakers on my phone sound louder or when I want louder audio volume boost and bass. This application can boost volume on phone with only one tap without distorting the sound. So you can create great sound when listening to audio, watching videos, phone calls online with friends. * Audio Player with Visualizer, play audio even when returning to the main screen. Volume Sound Booster is free and will always be like that. Let download app and share the way how to make your phone volume louder to friends. Don’t forget to rate 5* for developers!